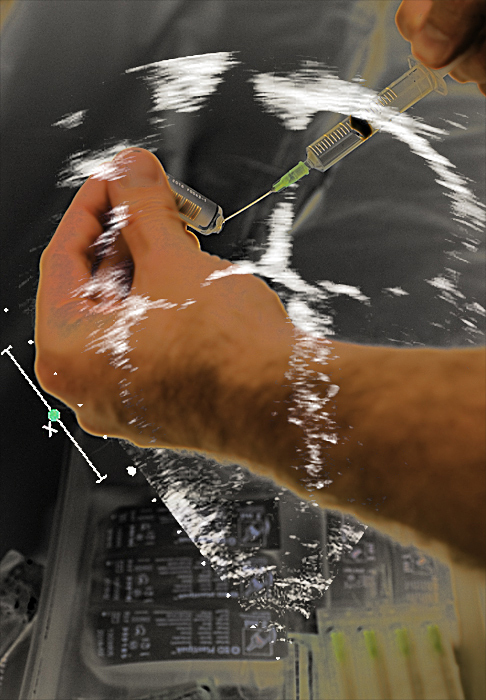 "From ultrasound visions of the human heart to the imagined sonic rhythms of flowers"
The Fox Got You is an art and science project celebrating common plants at the origin of medicinal drugs (for an overview, go to the home page). 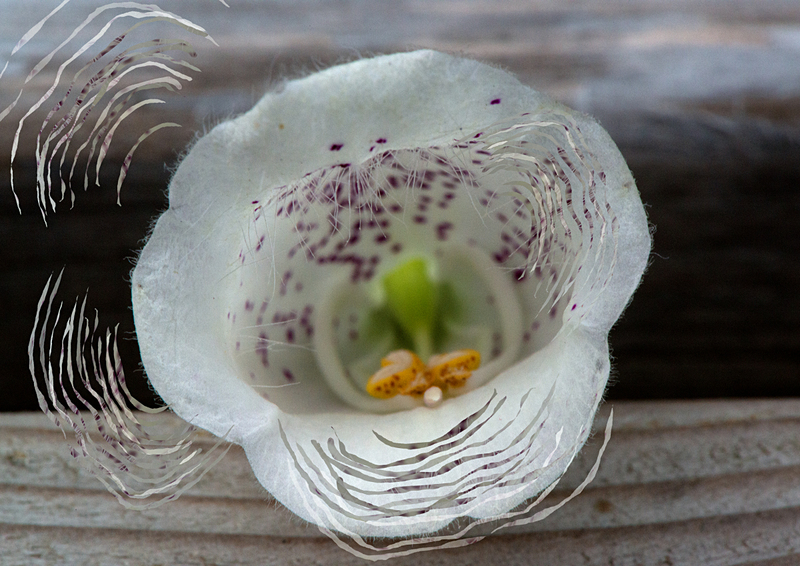 Fox Heart is about the drug Digoxin, which is extracted from the woolly foxglove. 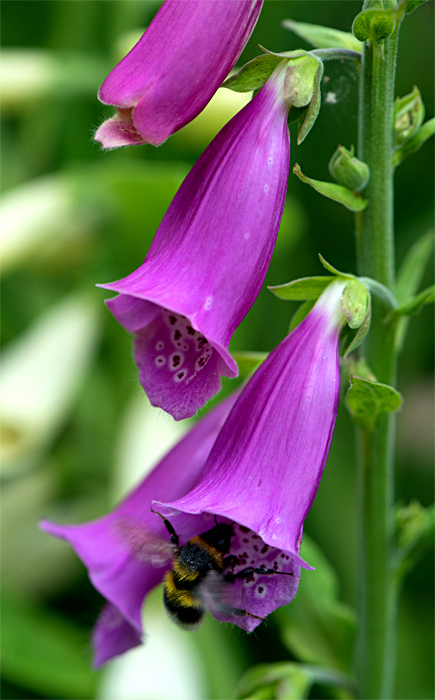 Another similar drug which is no longer used, Digitoxin, comes from the common foxglove, a very familiar plant in our gardens. 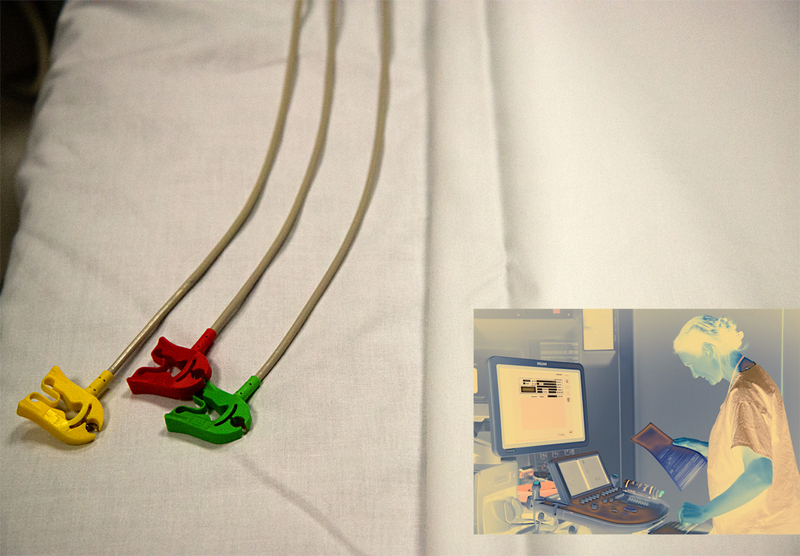 Digoxin is prescribed as one of the treatment for atrial fibrillation, a type of heart arrhythmia. 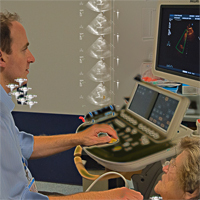 Echocardiography is one of the techniques used by doctors to look at the heart. 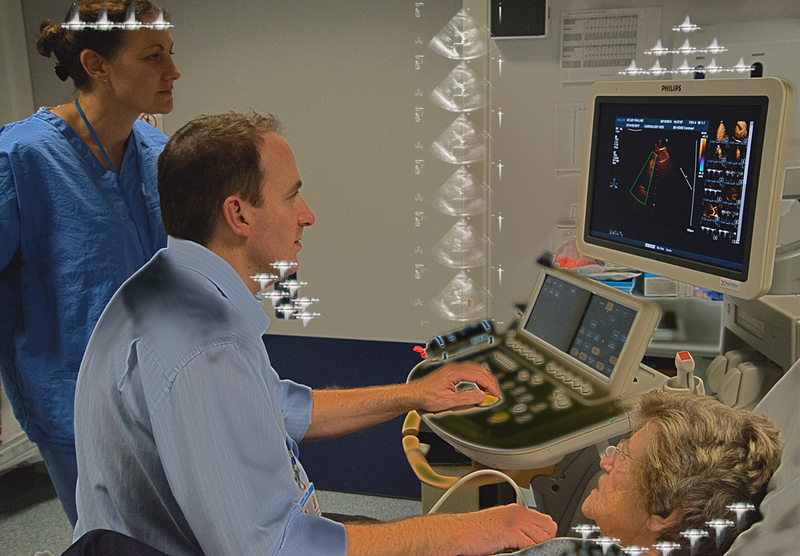 Ultrasound echoes show the heart in motion, in a very safe and non-invasive way. 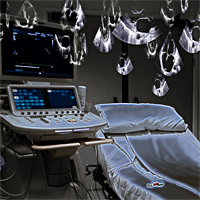 The artwork you can see below combines images of clinicians and patients at echocardiogram clinics, with medical images of heart echoes. 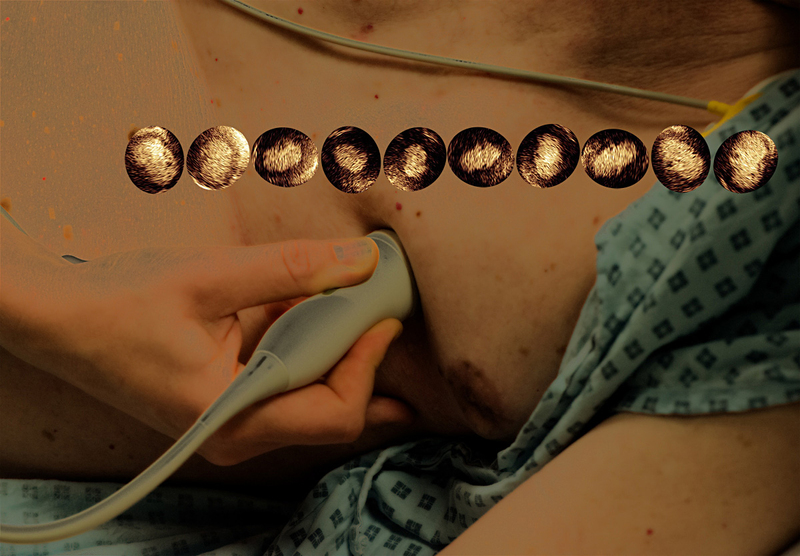 For this series, artist Françoise Sergy was based at the John Radcliffe Hospital, Oxford University Hospitals NHS Trust, in Britain. 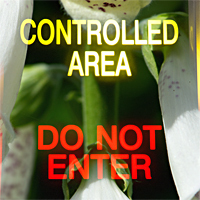 Although much loved by gardeners, the common foxglove is very toxic. 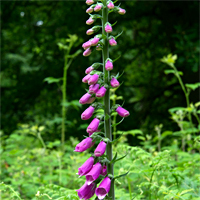 There are many reported cases of poisoning, often because foxglove is confused with comfrey, which is used in herbal tea. 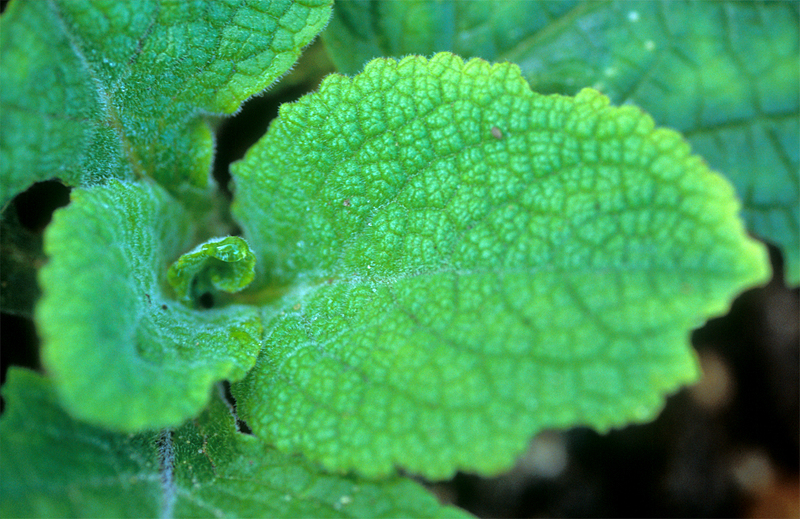 Foxglove leaves are soft and velvety to the touch, whilst the leaves of comfrey have a rough feel. However, accidental deaths are very rare. 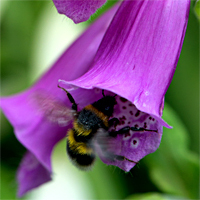 Anyone suspected of foxglove poisoning is given an antidote which is an effective treatment. The drug’s most common possible side effects are nausea, vomiting, diarrhoea, dizziness, skin rash and visual disturbances with blurred vision or yellow sight. 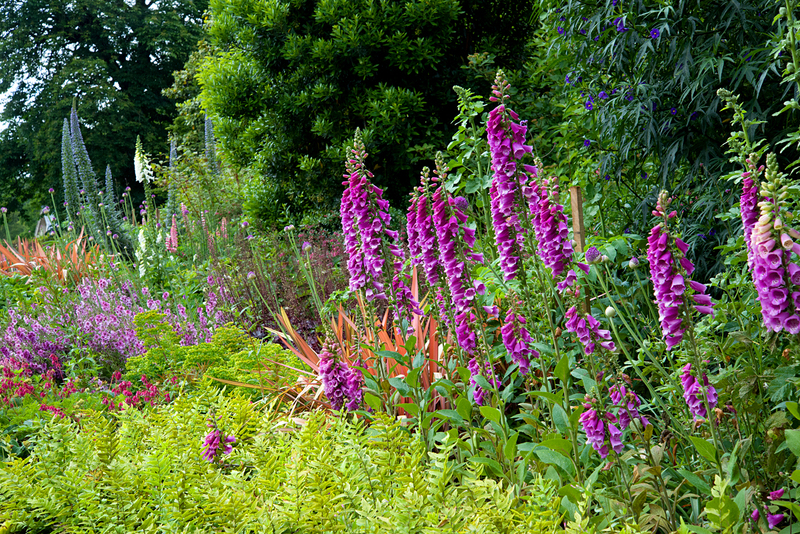 A possible famous case of foxglove poisoning is that of Vincent van Gogh, particularly during his “Yellow Period”. The painter made several self-portraits which included foxgloves. In 2003 the American nurse Charles Cullen admitted to killing up to 40 hospital patients with medication overdoses, mainly Digoxin. He was sentenced to 18 consecutive life sentences. 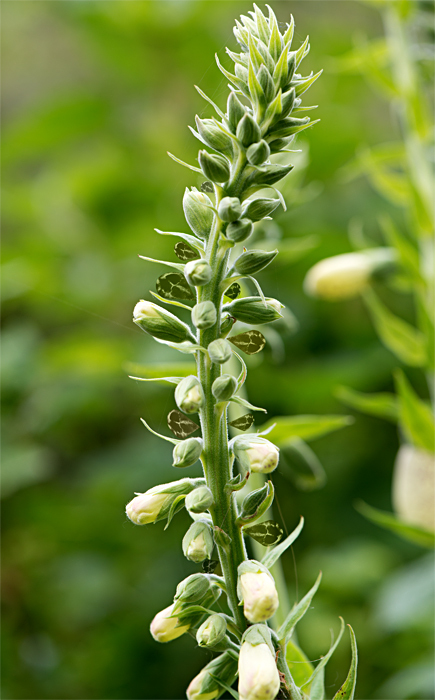 The plant's Latin name is Digitalis purpurea. 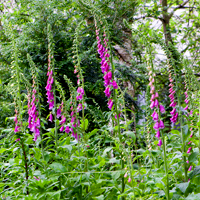 Over the years it has been given many english names: purple foxglove, lady’s glove, dead men's bells, dog's finger, fairy fingers, fairy gloves, finger flower, folk's glove, floppy dock, tod-tails. 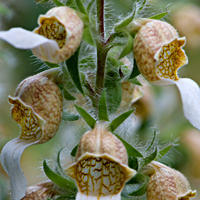 The name Digitalis is derived from the Latin term digitus, meaning ‘finger’, which describes the fingertip-like flowers. 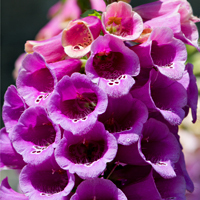 Purpurea means purple in Latin, because foxglove’s flowers are usually this colour. 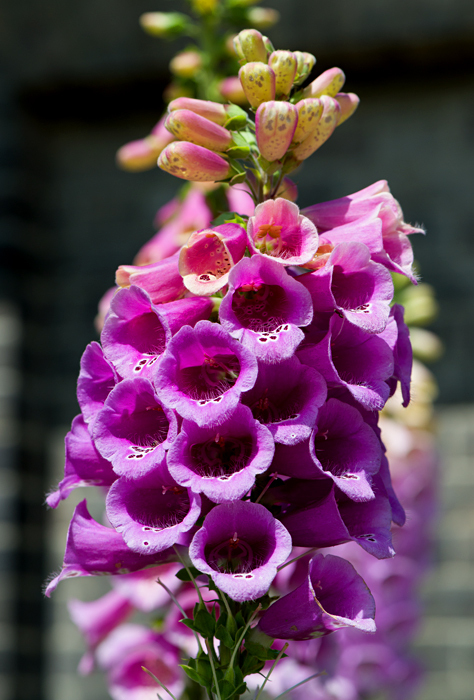 The name foxglove is probably an adaptation of “folk’s love”: folk is an old term for fairies, who were said to love the flowers because they could hide inside them. 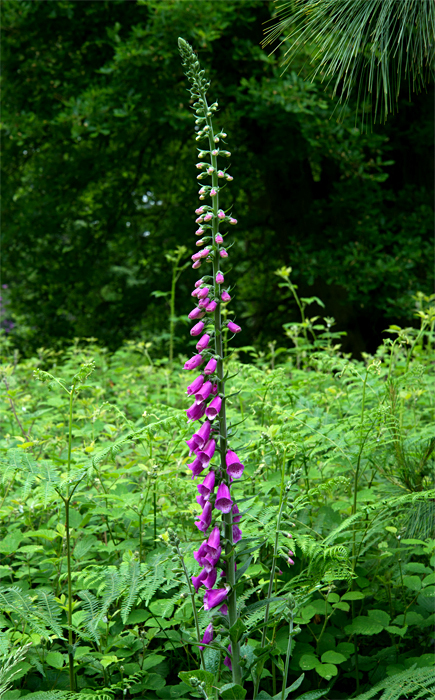 The common foxglove's scientific classification is: Order - Lamiales, Family - Plantaginaceae (plantain family), Genus - Digitalis, Species - purpurea. 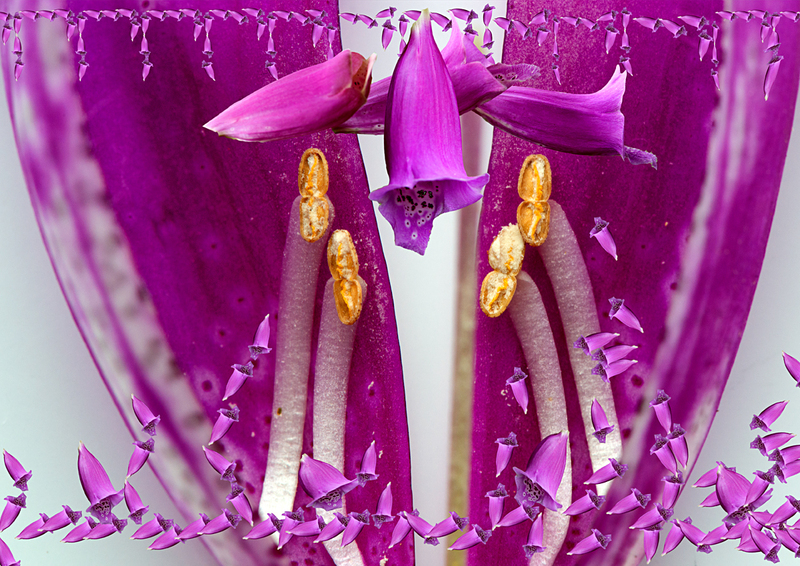 It was formerly classified in the figwort family, the Scrophulariaceae. It is native to Western and Central Europe but widely found further east. Naturalised in North America, it is listed there as an ‘invasive and noxious weed’ by the United States Department of Agriculture. 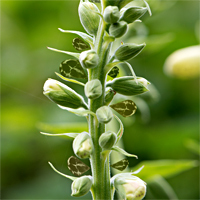 It grows in forest clearings, on roadsides, wasteland and in gardens, where it is used as an ornamental and a bee plant. 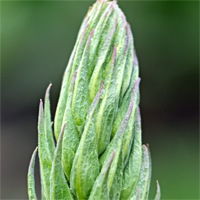 It is a biennial herbaceous plant: It produces a low rosette of leaves the first year and a tall flowering shoot the second year, which can be up to 2 m high. Then it sets seeds and dies. 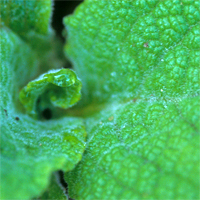 The leaves are soft and velvety with a downy cover of hair. 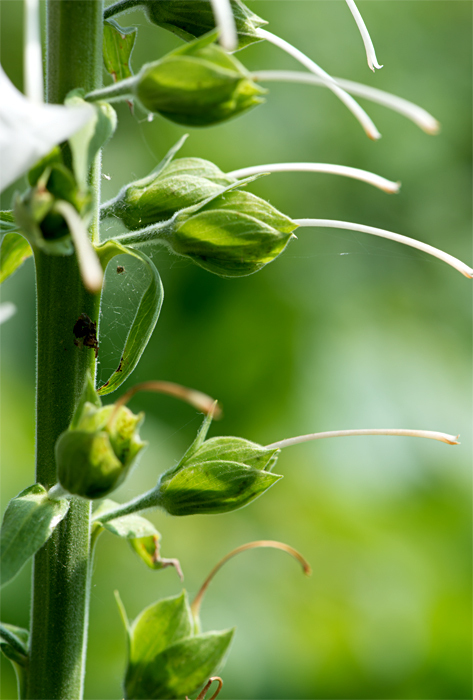 Most plants have purple flowers but the white-flower form is not uncommon. The flowers open between June and September, often facing the same way on the stem. They are pollinated by bumblebees. 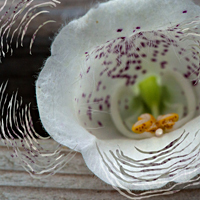 Inside the flower are dark spots edged in white, which probably act as nectar guides for the insects. 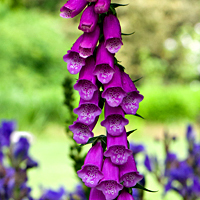 Digoxin is extracted from the woolly foxglove, Digitalis lanata. 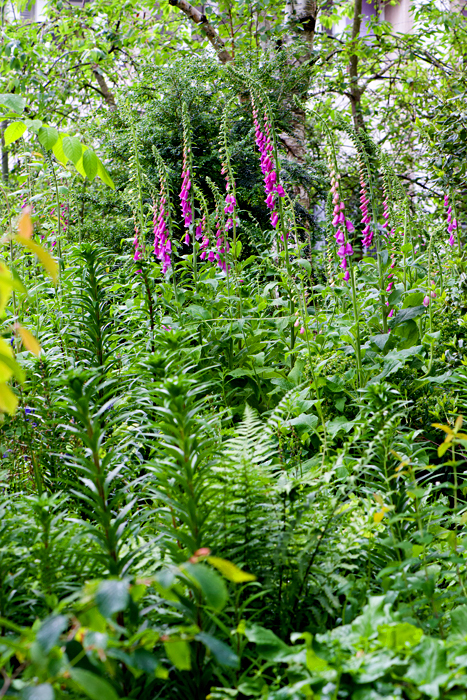 This plant is native of Eastern Europe and although growing widely in Britain, it is not seen as frequently as the common foxglove, Digitalis purpurea. 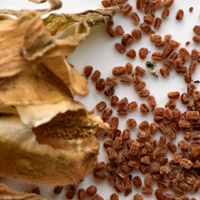 Both plants are associated with the history of the drug: D. purpurea is the source of Digitoxin and D. lanata produces Digoxin, which is now the favoured active ingredient. Both these compounds are cardiac glycosides: molecules which contain sugars and are used for their therapeutic effect on the heart. 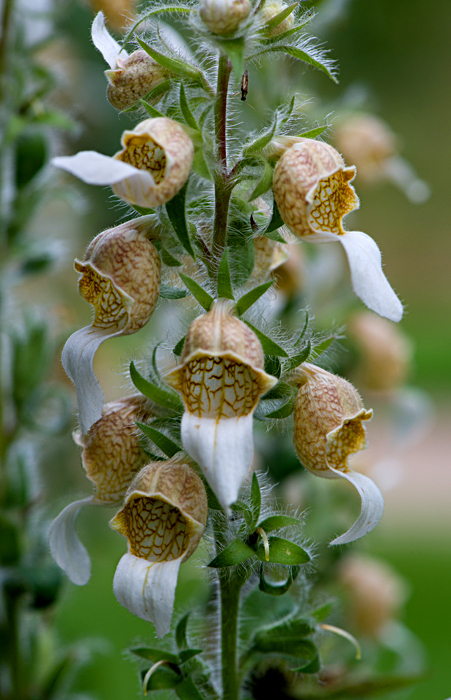 In 1785 English physician and botanist William Withering published the book "An Account of the Foxglove and Some of its Medical Uses", which is regarded as one of the first detailed clinical studies of a drug. Prior to his work, the plants were used in folk medicine but little was written about them in learned texts. 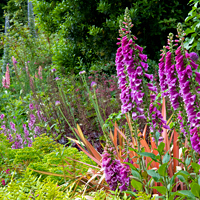 In the mind of the famous 16th c. botanist John Gerard, the foxglove had no place amongst medicines. However, the plant was used by herbalists to treat all sorts of ailments for which, with hindsight, it has no use: such as fevers, tuberculosis and epilepsy. 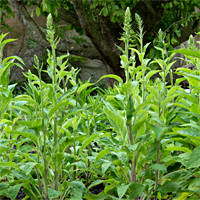 Ten years before he published his account, Withering was shown a list of herbs, including foxglove, used for the successful treatment of the dropsy. 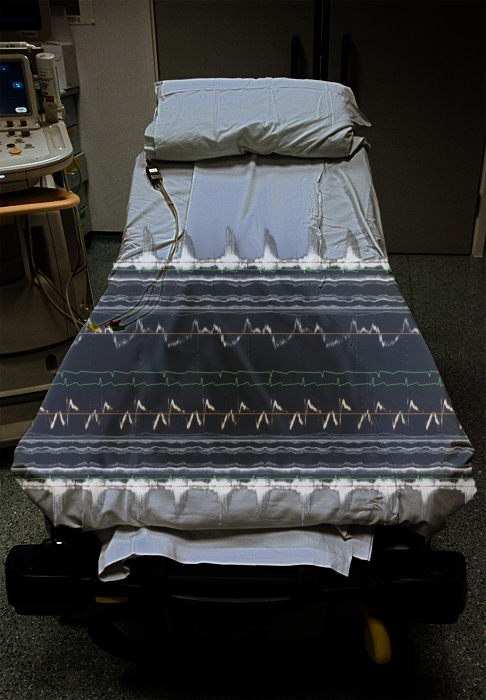 The term dropsy described the swelling of soft tissues, which can be caused by, among other things, congestive heart failure, as the condition is now called. 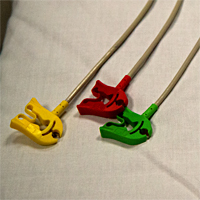 At the time, the dropsy was not understood to be a heart problem and diuretics were the only treatment. 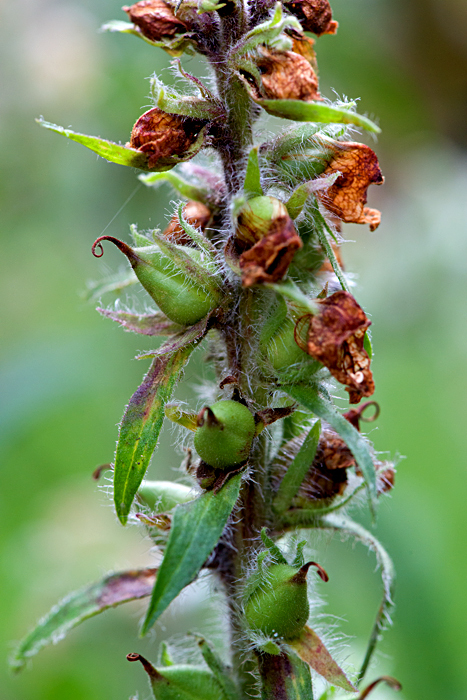 As foxglove worked for the dropsy, Withering assumed the plant was a diuretic. 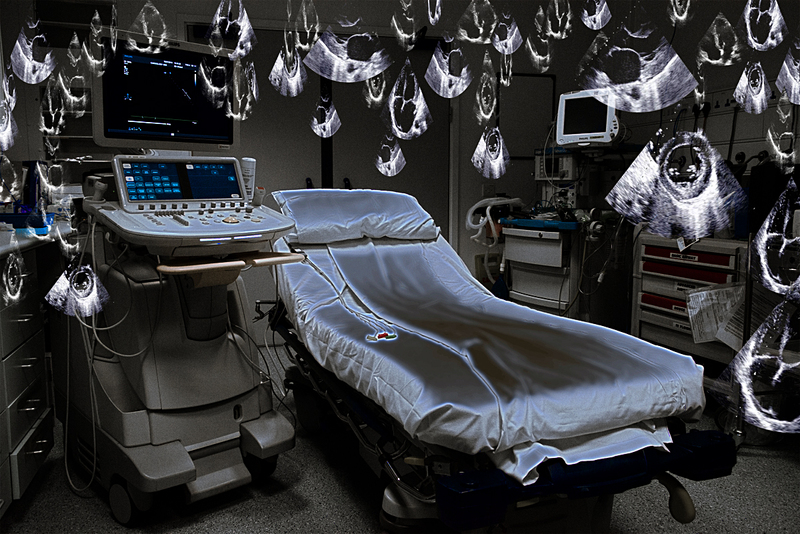 Today, we know that the drug works on the heart itself. This is how he describes the event: "I was told that it had long been kept a secret by an old woman in Shropshire, who had sometimes made cures after the more regular practitioners had failed. I was informed also, that the effects produced were violent vomiting and purging; for the diuretic effects seemed to have been overlooked. 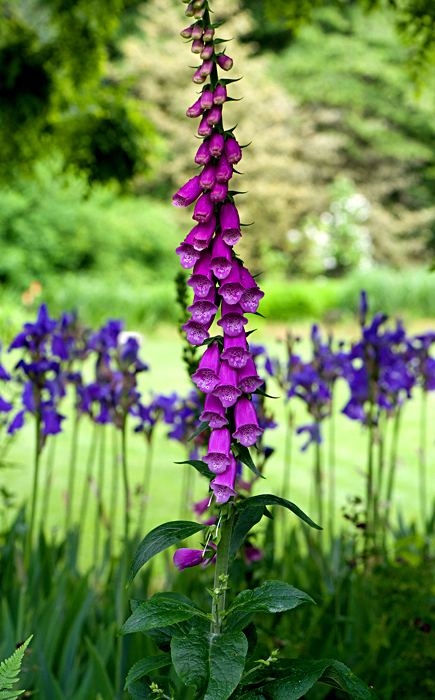 This medicine was composed of twenty or more different herbs; but it was not difficult for one conversant in these subjects, to perceive, that the active herb could be no other than the Foxglove." This account shows how valuable the relationship between botanical and medical knowledge was at the time, with Withering the physician able to solve a problem thanks to his skills as a herbalist. 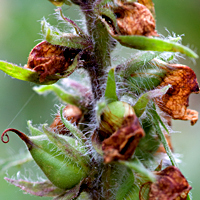 Withering prescribed the plant for a range of conditions, with much success in case of the dropsy. Over the years he became an expert on how to administer the drug and his book describes in detail his trials and errors looking for the best therapeutic effects. 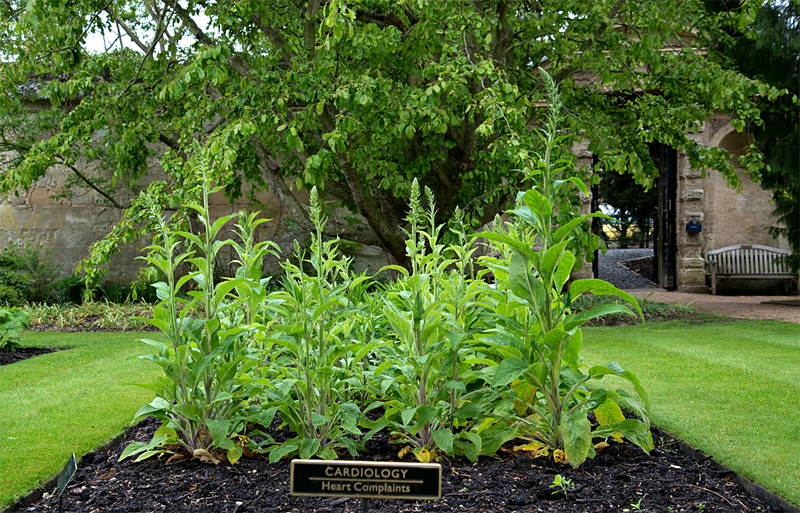 After Withering’s account was published, foxglove enjoyed a period of considerable success, with physicians prescribing it for the dropsy as well as for many other conditions. 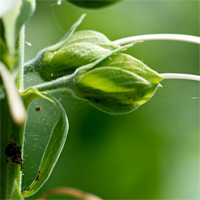 However, it was often used in the wrong doses and much harm was done by the plant’s toxicity. 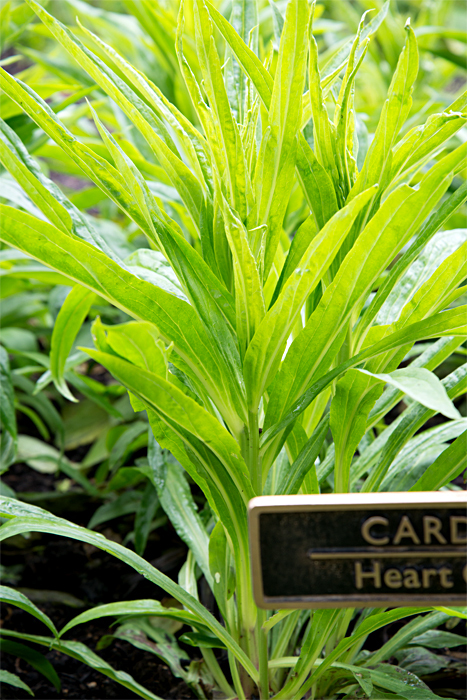 Its use then decreased and in the 19th c. it was mostly prescribed for the wrong ailments and not for the dropsy, which is a shame as the plant was one of the only effective heart treatment of the time. 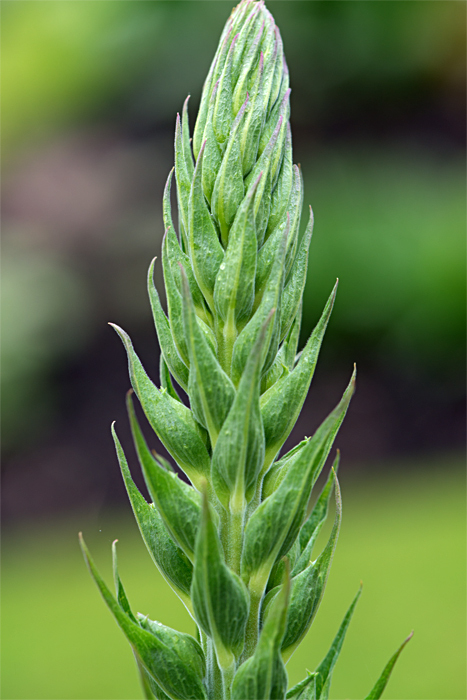 The Digitalis genus contains several cardiac glycosides. These were gradually isolated by chemists and pharmacists from the mid 19th c. onwards. In 1930 Dr Sidney Smith at Burroughs Wellcome isolated Digoxin, which is more effective than Digitoxin and is excreted from the body more rapidly, therefore safer. At the same time, medical science was progressing. Scottish cardiologist Sir James Mackenzie (1853 - 1925) studied the heart pulse and was influential in developing the use of foxglove as a treatment for heart arrhythmias. 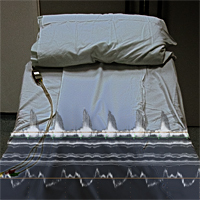 The invention of the electrocardiogram (ECG) and other techniques for measuring cardiac output allowed clinicians and scientists to further study the action of foxglove on the heart. 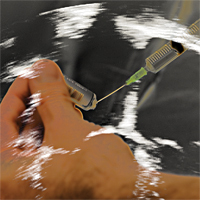 Gradually they came to understand that the drug affects the heart in two ways: It increases the intensity of the heart muscle contractions and it slows down the rate of the heart beat. 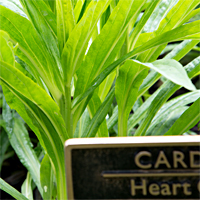 Digoxin is now primarily used for the treatment of atrial fibrillation, a type of heart arrhythmia. 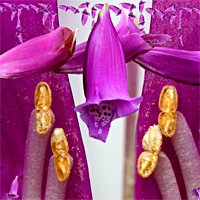 Today the role of Digoxin is on the wane, unlike that of other drugs studied in this project. Recent large scale studies have shown that patients treated with Digoxin are at a higher risk of dying than those on other treatment. 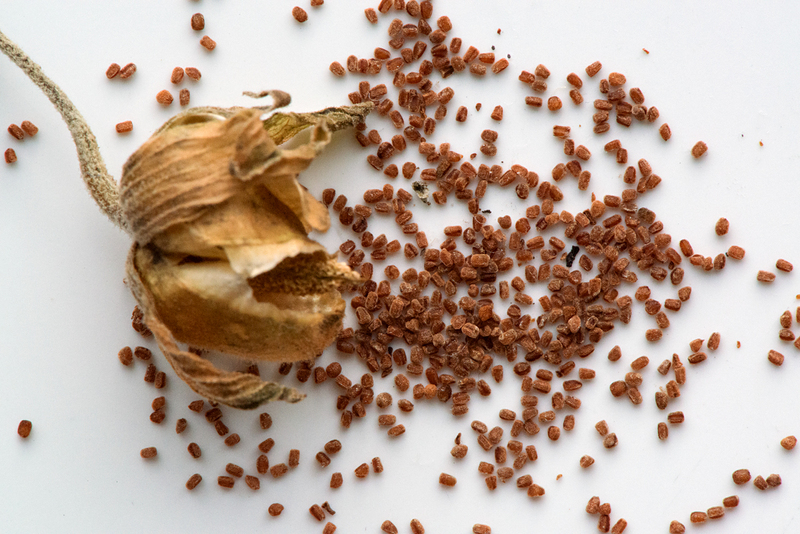 Newer drugs have their own shortcomings but the age old drug Digoxin is not proving to be completely safe after all. For a longer version of this article, please download the pdf file. Do feel free to view the images above whilst listening. You will find all The Fox Got You interviews on this page. 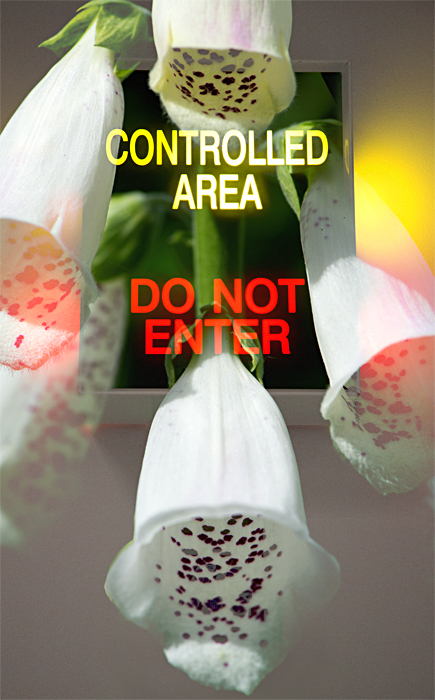 For more information about the drug Digoxin and how it is made, go to the section From Plants to Drugs. 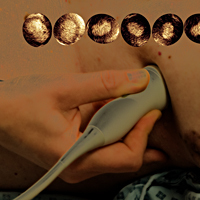 The Fox Got You project was conceived, researched and produced by artist Françoise Sergy, in partnership with clinicians, scientists and patients. Individual images are available as prints: £40 / €50 for an A4 print, £50 / €65 for an A3 print ( plus postage costs). For links to the organisations involved in the project, please go to the Links page.